The net ingredient cost (NIC) of drugs for diabetes has increased by £88.0 million in 2015/16, bringing the annual primary care prescribing spend on this drug classification to £956.7 million – around £2.6 million per day, new figures by NHS Digital have revealed. The report, Prescribing for Diabetes 2005/06 to 2015/16, also shows that in the last financial year, 49.7 million prescription items were dispensed in England for the treatment and management of diabetes. The £956.7 million spend makes up 10.6% of the total cost of all prescribing in primary care in England, and is almost double the cost of a decade ago, when it was £513.9 million, or 6.6% of the overall spend. Since 2007/08, the British National Formulary classification Drugs used in diabetes has accounted for the highest cost of all drug sections, while the number of prescription items dispensed in this category has also increased every year since 2005/06. This is in line with a steady increase year on year in the percentage of the population being treated for diabetes. On a national level, the Quality and Outcomes Framework report of 2014/15 shows that the average percentage of all GP-registered patients, aged 17 and over, in England, being treated for diabetes has increased from 5.3% in 2009/10 to 6.4% in 2014/15. This means in 2014/15 there were 2.9 million adults in England receiving treatment for diabetes. 17.9% of Newham CCG’s total prescribing spend was on drugs used in diabetes maintenance – the highest percentage of all CCGs in England. Newham also had the highest percentage in England for diabetes drug items dispensed, at 9% of its overall number of drug items dispensed. 7.4% of North Tyneside CCG’s total prescribing spend was on drugs used in diabetes – the lowest percentage of all CCGs in England. 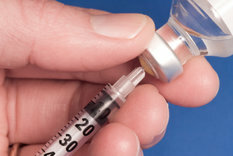 North Tyneside also had the lowest percentage in England for diabetes drug items dispensed, at 3.6% of its overall number of drug items dispensed. The NIC per person in 2015/16, on the QOF diabetes register of 2014/15, ranged from £415.3 (NHS Warwickshire North) at the highest, to £238.7 (NHS Northumberland CCG) at the lowest. Of the three main diabetes treatment areas in primary care for 2015/16, prescribed antidiabetic drugs cost the NHS £422.7 million, prescribed insulin cost the NHS £343.7 million, and prescribed diagnostic and monitoring devices cost the NHS £186.6 million.